Losing the essential data is one of the scary experiences especially when the data is valuable. People lose their data such as Photos, videos, audio, document, or any other type of data. Some common reason behind the data loss is accidental deletion of data, file corruption, or any other reason. With the fast advent in technology and innovation, there are lots of free data recovery software are available in the market. You can take help of such tools to recover your lost data from mobile device or computer. Here, below are some best tools that help you to recover the lost data. iSkysoft data recovery is an all-in-one data recovery tool that allows the user to recover data from any storage device. It powerful algorithm enable its software to perform deep storage device scanning to get best results. It supports a wide range of file format such as JPG, PNG, DOC, ZIP, .MP4, .MP3, and many others. iSkysoft data recovery tool is compatible with Windows and Mac operating system. You just have to install such tool on your computer and complete the recovery process in 3 simple steps Scan, Preview, and Recover. You can recover any file including Email, archive, document, images, videos, and audio file. Unlike other data recovery tools, you can view the file before recovery. You can also recover data from a device running on the Android OS. Recuva is free data recovery software that is designed for Windows operating system. Basically, it is available for free but, you are also available in a paid version with more features, unlike basic version. Have you deleted a file using “Shift” + “Delete”? Don’t worry! Recuva allow the user to recover the permanently deleted file with ease. You can download it from their official website at free of cost without spending a single penny. The size of the download is very small as compared to other recovery tools. There is no extra computer knowledge is required to use this software. Like iSkysoft data recovery, it also performs in-depth scan fetch every single file that is deleted earlier. With its portable version, you don’t have to install it. Simply plug and play. It is compatible with Windows XP, Vista, 7, 8, 8.1, and Windows 10. Puran data recovery is file recovery software that allows you to restore the deleted files in single go. This program is coded for Windows users to recover any type of file. Getting engaging with Puran data recovery, it can recover more than 50 file type of files. This recover tool scans FAT 12 / 16 / 32 and NTFS file system. You can download it on any type of windows operating system form Windows XP to Windows 10. Portable version available for x86 bit of windows and x64 bit windows. The size of the program is very small and light in weight. You can download it for free from the official website of Puran Software. Disk Drill is one of the best data recovery tool available on the web. It easy to use user interface makes it simple and clean. Anyone can use this tool without having proper knowledge of computer. Engaging with Disk Drill, you can recover file from internal as well as external hard drive. 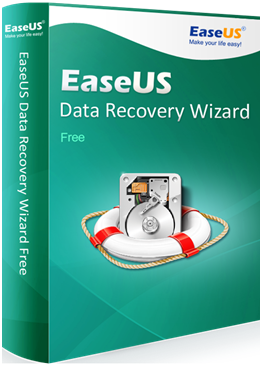 You just have to install this tool on your windows or Mac computer and recover your lost data. Disk Drill is available for a computer running on Windows and Mac operating system. It can recover any type of file using it advance algorithm.